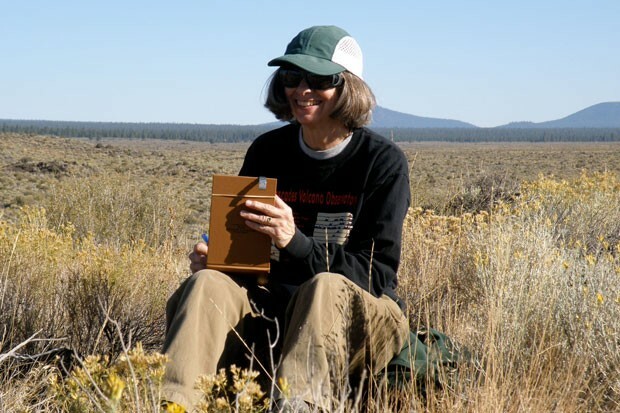 Dr. Julie Donnelly-Nolan has been mapping Newberry Volcano for the past 20 years, as part of her work as a geologist with the U.S. Geological Survey. She's one of many scientists and government agents who keep their eyes on the potential for a volcanic eruption in Central Oregon. While it's not the highest-priority threat local emergency officials have to plan for, it's on the list of things locals should know about and prepare for. "The hazards that Newberry presents is—it's discreet," Donnelly-Nolan said. "It does present hazards. But the eruptions don't happen very often in human time. The last eruption was about 1,300 years ago. The chance that it's going to erupt this year, or next year, or in our lifetimes is small. But it's real." The USGS recently released its National Volcanic Threat Assessment for 2018, outlining the threat level for volcanoes. Oregon volcanoes listed as "very high threat" included Newberry and the Three Sisters, along with Crater Lake and Mt. Hood. Those threat levels—the highest-priority threat level among volcanoes in the U.S.—remained the same from the previous study. USGS consider a volcano "very high threat" if it's fairly young (under 10,000 years old) and close to a large population center. "Central Oregon is entirely volcanic," said Donnelly-Nolan. "Everything there is produced by volcanic eruptions over time. 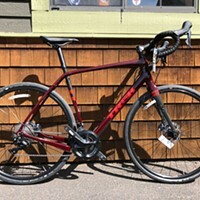 Downtown Bend sits on lava from Newberry Volcano, and then the west end of Bend is material that's come out of the high Cascades." Dr. Julie Donnelly-Nolan in the field. The history of volcanoes in the area continued well into humans living in Central Oregon. According to Dr. Bart Wills, forest geologist at the U.S. Forest Service, there was a "firm establishment of people" in the area around 10,000 years ago, and they would have been witness to numerous eruptions. Even though there were eruptions, there were not many humans, and it's sometimes easy to forget the potential for eruption in the area. Officials regularly warn of a potentially devastating earthquake at the Cascadia Subduction Zone just off the Oregon coast. Central Oregon is affected by the same subduction zone, which created the Cascades millions of years ago. At the Cascadia Subduction Zone, the Juan de Fuca Plate is being subducted under the North American Plate, creating the potential for both quakes and eruptions. "When that happens, the plate goes down and creates lava, magma," he said. "Below the Cascades, there are magma chambers. The Cascade Mountain Range is an active volcanic area." The Cascade Mountains are around 40 million years old. 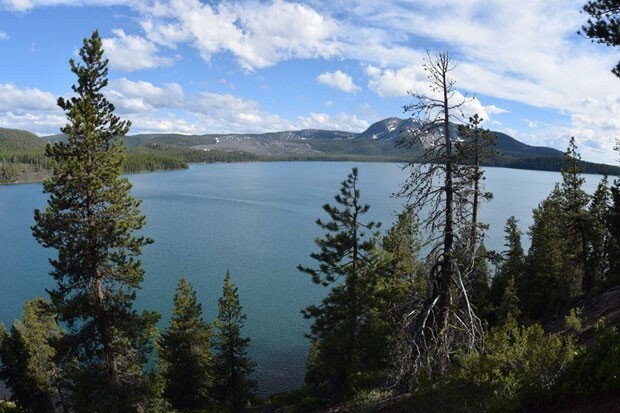 Most of the mountains in Central Oregon are varied in age, and fairly young, from tens of thousands to hundreds of thousands of years old, according to Dr. Daniele McKay, an instructor of geology at the University of Oregon. An eruption happened at Newberry only 1,300 years ago. Some of the cinder cone eruptions in the area, like Lava Butte and Collier Cone, happened between 2,000 and 7,000 years ago. To geologists, 1,300 years is not a significant amount of time. To compare, USGS believes Mount Bachelor last erupted around 9,000 years ago, with Egan Cone erupting somewhere between 7,700 and 9,000 years ago. Mount Mazama erupted 7,700 years ago, and although scientists aren't sure about Pilot Butte, geologic deposits suggest it was around 250,000 years ago. The Crooked River Caldera, which helped form Smith Rock and Powell Butte, is 29.5 million years old. As McKay explains, "So that all collectively indicates that this area isn't done. Then you look at these ages which geologically, 1,300 years ago is... it's yesterday." The most recent eruption at Newberry created the visible obsidian flow. Another eruption happened in the area 2,000 years ago, "and that was on the south side of South Sister," McKay added. "There are really recent lava flows from that, that you can see if you hike up towards Green Lakes. And then around 2,000 years ago there was another cinder cone around North Sister, so there's typically these little, you know, pockets of activity." Geologists are continually monitoring active volcanoes, working to recreate what's happened so they can estimate what may happen in the future. "One way to characterize it is if I could have half a million years of video tape, or video recording equipment, and stand there and record what happened at Newberry Volcano over half a million years, that's what I try to recreate," Donnelly-Nolan said. "I try to figure out what happened at that volcano. And then, by understanding what happened and how it works through time, try to be able to say something about the kinds of things that it could do in the future." Newberry is particularly hard to track because of its vast size, expanding 1,200 square miles, roughly the size of Rhode Island. 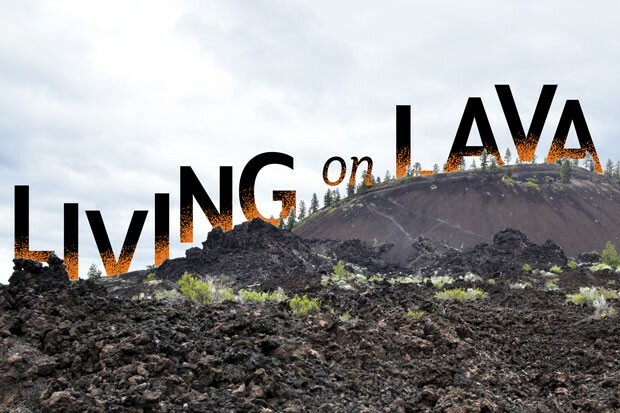 The entire city of Bend is built on lava fields. Among the Three Sisters—all active volcanoes—South Sister causes the most concern. In the early 1990s, scientists began watching it closely. Although unnoticeable to most humans, a satellite radar found a section of the mountain was "bulging" in an area stretching 15 by 20 miles. According to USGS, between 1996 and 2000, the bulge created an uplift of as much as 4 inches on the west side of the mountain, about 3 miles west of the summit. "It is believed that magma was rising up," said Wills. "They called this the 'South Sister's bulge'." The bulge is still monitored but stopped increasing around 2005. It didn't deflate but stayed the same size. "Whatever was infilling the crust at that time has slowed down or stopped," Wills said. "The scientists believe that that was possibly magma being intruded at low depth in the surface crust. And so, it was allowing for this deformation to happen on the surface. So, if that's the case, we're getting magma deposited currently." 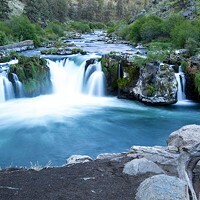 A report by USGS found that a South Sister eruption could flow into Tumalo Creek, and potentially overflow into Sisters. Although many stories will rely on averages to say that a volcano is "overdue" or "due," McKay says that's misleading, because volcanoes don't work on a timeline. "The recurrence interval, how often something erupts, or how often an earthquake occurs, they're just based on averages. If we look at the whole history of Newberry, it's been active for 400,000 years. We have half a million years' worth of activity, more or less, and then if we average every eruption that we know of, that's how you get that average. But it means nothing in terms of the volcano's perspective. It doesn't know it's on a schedule." She added, "However, it does mean that it's an active volcano and it's erupted often in the past, and recently in the past, so it's likely going to erupt again in the future." Although no one knows exactly when a volcano will erupt, a number of tools help geologists predict possibilities. USGS monitors many of the higher-threat volcanoes with seismometers. Small earthquakes can be signs of activity, as many are too small to be felt by humans. "Looking for heat, looking for gases, looking for uplift," McKay said. "All of those things are ways to monitor volcanoes. So, those, in general, give us warning. There are cases where a volcano somehow has an eruption without triggering some of those warnings, but it's rare. Newberry has hot springs and gas is coming out. South Sister has areas where gas is coming out. We can look at things like heat, does it look like there's a heat source under the volcano? We can look at the changes that might indicate the new magma is coming up." Not every volcano in the Cascades is being monitored in the same way, mostly due to funding, but both Newberry and South Sister are monitored extensively due to their threat levels. McKay said people would likely know days or weeks before an eruption. "This central section of the Cascades is really the most active section. 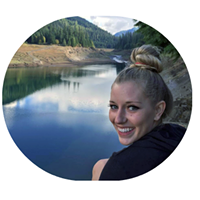 It has more vents than most of the other parts of the Cascades," she explained. "So if you wanted to point to a volcano, Newberry volcano is quite likely to erupt. South Sister is quite likely to erupt, sometime in the future. Not tomorrow. But, anywhere in the area there could be an eruption." 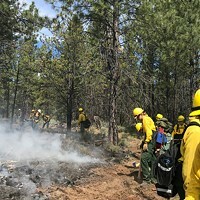 Deschutes County's emergency management department deals with winter storms and wildfires—but emergencies such as earthquakes or volcanic eruptions are also things on the department's radar. "Obviously we're very aware we live in a geologically relevant environment," said Sgt. Nathan Garibay, emergency services manager at the Deschutes County Sheriff's Office. "On our national hazard mitigation plan we assessed nine natural hazards, based on a combination of probability and vulnerability." Of those hazards, winter storms come first, followed by wildfires, the Cascadia earthquake and windstorms. Volcanoes sit at number five. The USGS provides science to government response agencies and emergency management agencies to help them make decisions regarding emergencies. Garibay's department then recommends mitigation or preparedness response activities. Around volcanic eruptions, that includes, "identifying what the hazard areas are, both proximal and distal, so this is going to be in the line of the lahar, or debris flow, versus who is going to be in the ash fall area," Garibay said. "Ash fall is a tremendous hazard because it could go a long way, it could impact airports, air travel, HVAC systems, ash on a flat roof. And that's not necessarily good for buildings, so we would coordinate getting that message out and working with the scientists from the USGS in particular." The county has plans for what to do if a volcano were to erupt, but Garibay said it's hard to predict because of different variables like wind direction, which way the lava flows, time of the day and year, and how people will react. But they do plan evacuation routes and how to notify people. USGS creates hazard assessments and explains to officials what kinds of things could happen and where the largest hazards could be. "It's more like understanding what could happen and having a plan for what to do, just in case," Donnelly-Nolan said. "For example, the Forest Service or any sort of land manager might want to know that if the volcano starts to do something, they might have to be prepared to close roads, or be concerned that if there is a road closure, how would you get around it." 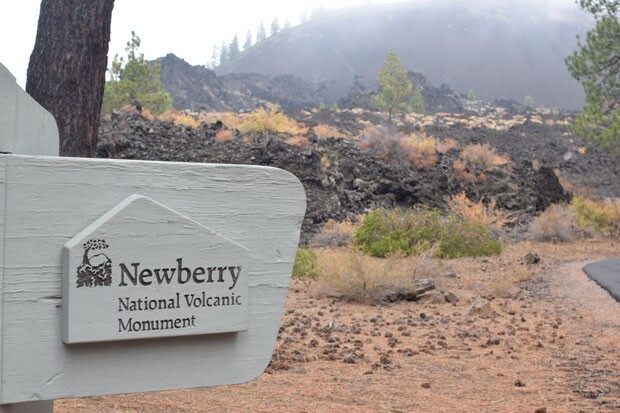 At Newberry, Donnelly-Nolan says what's most likely to happen is a cinder cone grows and lava comes out — similar to Lava Butte, which produced the lava flow near the Lava Lands Visitor Center about 7,000 years ago. That lava flow blocked the Deschutes River, and that could potentially happen again, backing water up into Sunriver, "then once the water sort of overtopped whatever little dam was in there, it could come down, pretty rapidly, right through downtown Bend." "That is a potential hazard. The chance that it's going to happen in our lifetime is just really, really small, but it has happened," Donnelly-Nolan said. "We know it could happen again. And meanwhile, if that cinder cone was on the east side of Highway 97, then the lava flow comes down, it crosses Highway 97, and then it crosses the railroad tracks. It could go down through Sunriver. Or the lava flow could come down even through downtown Bend." Geologists and emergency management officials are concerned that the attitude around catastrophic events like volcanic eruptions is lackadaisical. While they don't want to cause panic, they want people to understand the dangers and prepare themselves if it does ever happen. "It's easier to go about your daily life and not think about that," said McKay. "We know these events will happen both for earthquakes and volcanoes, but we don't know when and so there is tendency to just say, 'well it won't be in my lifetime,' and that may very well be true. We may never see an earthquake or a volcano in our lifetime in Central Oregon, but both of those events will happen in the future."